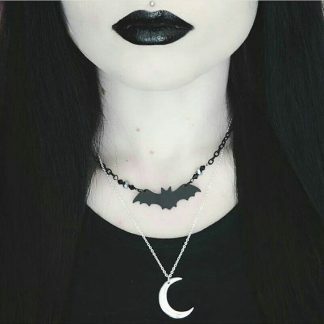 Looks fierce, but fear not, you won’t end up looking like Dracula’s been gnawing at your neck when you wear this choker as it’s made from leather. 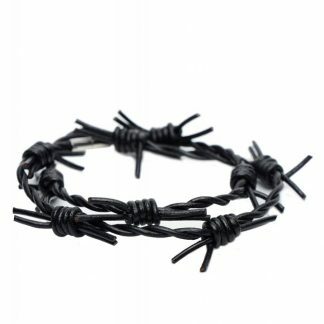 It will leave your neck unscathed, and protect you from unwanted advances. After all, no vampire is going to risk getting his fangs caught up in that lot. 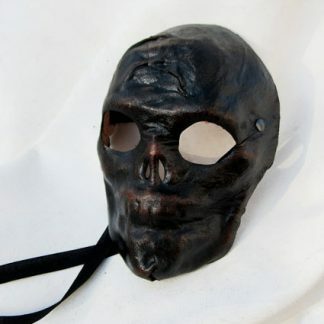 Put the willies up everyone with this beautifully made, black leather skull mask. This darker than dark creation really is something special, and sure to get a reaction from all you meet. Truly the stuff of nightmares, they’ll be talking about this one for many moons to come. Delightful dark moth brooch, sure to appeal to those nocturnal souls who feel more of an affinity with the moon than the sun. 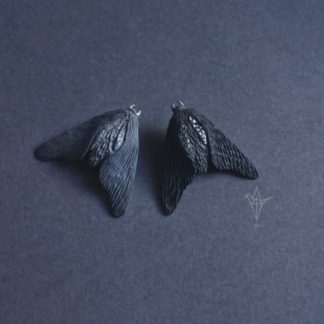 Crafted from polymer clay, the delicate wings and fine details of this brooch make it a uniquely dark accessory to any outfit. Roses are both beautiful and dangerous, making them alluring and dark at the same time. 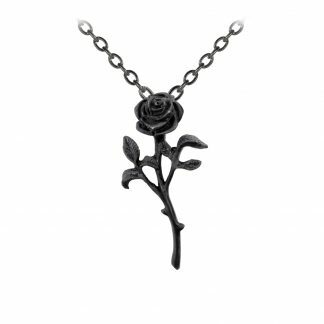 This black rose pendant by Alchemy perfectly sums up the qualities of the rose – pretty, dark, and charming. 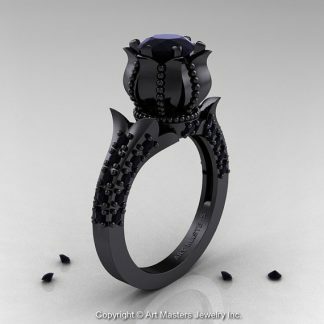 If you find yourself resonating with this, the black rose pendant was made for you. Black magic. 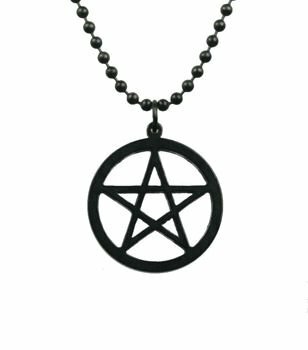 This black pentacle necklace complete with dogtag chain is made from stainless steel coated with titanium nitride, so it’s suitable for those with skin sensitivities. 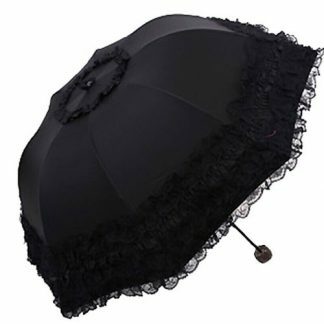 Rain or shine this beautiful parasol is the perfect accessory to dress up your outfit. Ideal for keeping the wind and rain from wrecking your ‘do’ and for shielding you from the suns UV rays. A good all rounder, plus, you can hide under it to avoid people. 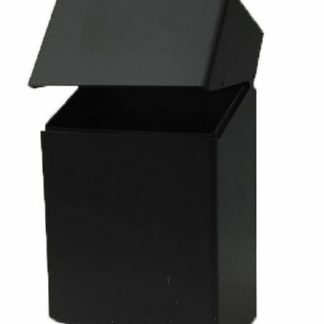 Slip your pack inside this discreet black case and keep your cigarettes safe and not squished. Holds a full pack of king sized cigarettes, so you’ll always have plenty of smokes to hand. Finding a public place where some fucker doesn’t have a problem with you lighting one up is another story. 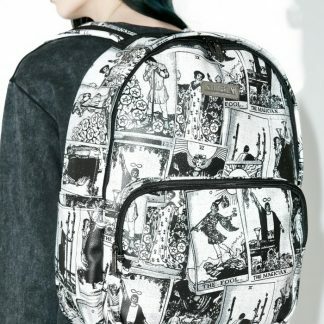 Be prepared for whatever Fate throws at you with this black and white tarot backpack. Made from vegan leather, and featuring images from the Rider Waite deck, this roomy bag easily holds all you need. So visually stunning you’ll have the world watching your back, ensuring the cards fall in your favor. Nothing goes together like razor blades and wrists. 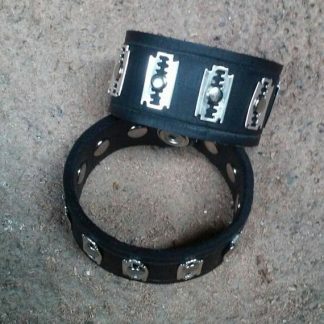 This stunning black leather bracelet with attached razor blades and snap fastening can be custom made to your measurements for the perfect fit. Just as well. Wouldn’t want any accidents now would we. 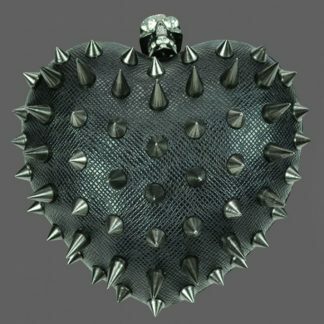 Behold your very own heart shaped box to protect the items you treasure when you’re out and about in this wicked world. With a beautiful skull clasp and detachable chain, this faux leather clutch bag may look fierce, but is in fact animal friendly. Purse perfection.